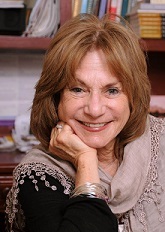 Helping Our Daughters – Judith Ruskay Rabinor, Phd. Children mirror the world around them. My neighbor’s daughters, Sleeping Beauty and Barbie, are typical of normal weight young girls who are doing what children do: taking cues from the behavior of the adults they admire. While these eight-year-olds have no diagnosable eating disorder, such as anorexia or bulimia, they are good candidates for developing one. At younger and younger ages, girls are becoming anxious about food and their bodies, leaving themselves at risk for serious eating problems. Many parents encourage their daughters to diet – overtly or covertly. In the hopes of making their daughters more attractive and saving them from the rejection that often accompanies being overweight,parents may over-emphasize “healthy” eating and weight loss. Ironically, these efforts may backfire and push their daughters into a lifelong battle with food and a never-ending struggle with their weight. Dieting is damaging in many ways. Dieting teaches girls to disconnect from their bodies. Dieting teaches girls to starve rather than feed themselves – first nutritionally and then emotionally. Dieting leaves one feeling deprived, and deprivation leads to binging and binging leads to weight gain which leads to dieting. A vicious cycle becomes easily established where one is programmed to disconnect from their inborn hungers, appetites and desires. Dieting lays down a template that says: “Let others tell you what to eat, how to feel, how to nourish, nurture and feed your hungry self.” Most women spend a lifetime feeling fat, hungry and deprived. “Is my daughter developing an eating disorder?” they ask me anxiously and then, “What can I do to be sure she doesn’t develop one?” When I talk with mothers I attempt to share the lessons I have learned in my office. Innumerable psychological issues – concerns and struggles with identity, connection and relatedness are masked and expressed in the constant chatter about dieting and pounds lost. In exploring the inner worlds of my patients, I have learned that our deepest hungers are too often and too easily twisted into a fear of fat. Beneath the words “I feel fat” lie deep needs, appetites and desires. A young mother recently came to my office concerned about her sixyear- old daughter. Becky had begun a diet and was suddenly “feeling too fat to go to school.” Our conversation revealed that this diet began shortly after the birth of Becky’s new brother, Ben, now three months old. In our session, I invited the mother to talk about the stresses a newborn inevitably brings to the family. “I’m so exhausted,” she said and started to cry. I gently suggested that her daughter might benefit by simply hearing her mother name her feelings – the negative as well as positive – about Ben’s birth. My goal was to help this mother understand that her daughter’s dieting might be expressing some feelings that could be better expressed verbally. By teaching her to tease out the meaning of her daughter’s dieting, I was empowering her to be more empathic and connected to her daughter. In talking with her about her own feelings, I hoped to normalize the negative as well as the positive emotions and enable her to make more room for her daughter’s mixed feelings. You are your child’s most important teacher. Although there are many influences on your daughter – including peers, other adults and the media, you are your child’s most important role model. Be aware of your own eating habits. Eat when you are hungry and stop eating when you are full and don’t diet. In this way you teach her to tap into and honor her internal cues. Be a better listener. Become a translator. Often complex messages are encoded in the three little words, “I feel fat.” Stop, look and listen. Listen to how you talk to yourself. What do you say to yourself about your body? About your appearance? About your daughter’s appearance? About others? Minimize food, dieting and appearance as important conversations. Think about what really matters to you in life. Be mindful. Talk to your child about what you really believe in. Teach your daughter to listen to the wisdom of her body. And to nourish her emotional, spiritual and psychological hungers as well. Teach her to distinguish between an emotional desire for food and a true physiological hunger. Help your daughter learn to talk about and resolve conflict and differences. Conflict and differences are inevitable and a normal part of growing up. Avoid conflicts over food which can easily become the focus of adolescent rebellion, but invite conflict and differences into your relationship. Talk to her about the conflicts you experience in your life and how you resolve them. Help your daughter learn to live with disappointment. People use dieting to cope with disappointment and difficulties. Talk to your daughter about your coping style. Remember: It takes great strength to nourish our inner hungers. Share your won hopes, dreams and disappointments with your daughter. Teach her to nourish her own dreams and withstand life’s inevitable difficulties. What nourishes mind, body and soul are good relationships.